Similar to our model 2193 but with self-adjusting clamps that hold the wire perpendicular to the jaws. 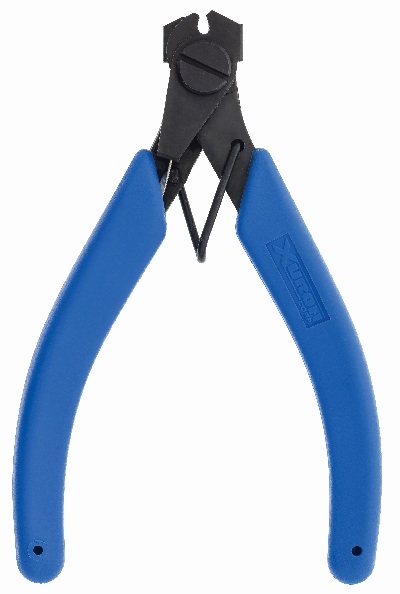 Greatly simplifies the cutting process while allowing for square cuts on both the cut and cut-off sides of the wire. Cuts music wire up to 0.064".